Your wedding invitation is an important piece of stationery for your wedding. It’s probably second in importance to the most important piece of paper – your marriage license! Your wedding invitation is the first peek into the type of wedding you’re having, and doesn’t just tell your wedding guest’s where and when to go. It also conveys (usually implicitly) the style, formality, even dress code. So you want to make sure that special piece of card is absolutely perfect, right?! 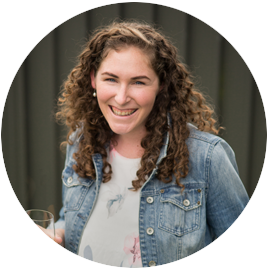 Today we have our Southern Bride Verified Wedding Stationery Expert Amanda from Be My Guest sharing her step-by-step wedding invitation proofing checklist with us. This is same proofreading process she uses for her own wedding invitation clients, so you’re in for a treat. Finding the right wedding invitation design might have taken you hours… if not longer. But the perfect wedding invite does not just come down to the design. After spending all that time hunting for the perfect design, you want your invitations to be worded absolutely flawlessly too. It’s easy to be distracted by how awesome they look when you get to see the final design with your details on it, so it’s understandable how mistakes can slip through. The thing is, small mistakes can detract from the overall design and purpose of your wedding invitation. Large mistakes (like the wrong RSVP contact details or even the wrong date) can cause all sorts of headaches and extra wedding admin. 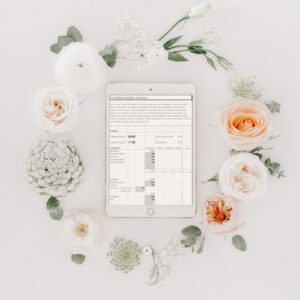 By being thorough with reviewing your wedding invitation wording, you can save yourself money and time. That’s because many invitation designers charge for multiple revisions, and even worse – if you find a big mistake once it’s been printed – you’ll be looking at reprinting your invitations, a huge time and money sink. Have the below list handy while you review your wedding stationery. Some items might not apply to your specific needs, so just skip over them. 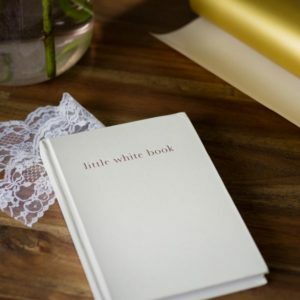 While it’s designed for proofreading your main wedding invitation, you can also use this when proofreading your Save the Dates, enclosure cards, RSVP card and other wedding stationery. Order of Parent’s Names – If you’re including parents, then make sure their names are in the same order as the couple being married (i.e. if your name is coming first on the invite, then your parent’s names will come before your partner’s parents). No one knows your wedding plans quite like you do, so don’t skip checking anything on this list! Day/Date Correct – Does the day match up with the date? Directions – are they correct and easy to follow? Maps – Do they include the important landmarks? 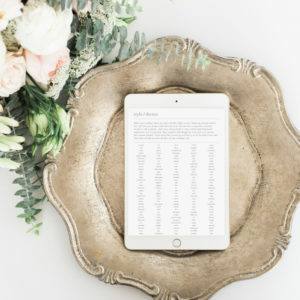 Are all Your Invitee’s Names Correct (Note: you might check these after you’ve confirmed the wedding invitation design is correct – Be My Guest clients do, for example). Are all Your Invitee’s Addresses Correct and Formatted Properly? Have you Included a Return Mailing Address – and is it formatted correctly? Envelope – Is your envelope big enough to fit the wedding invitation and all pieces in? Postcode – Include the postcode if you are asking for postal RSVPs – we want no excuses for why those RSVPs haven’t arrived! Guest Names: Do you have a spot on the RSVP card for guest’s to write their names? How do Guests Send Their RSVP? Have you included how guests should return their RSVP? Note: it might be tempting to pop down your address, phone number, email, text messaging details, smoke signal etc… but the more options guests have, the more overwhelmed some get. Keep it simple and say one or two ways, tops. Now that you’ve given everything a once over, get a detail-oriented friend to go through this list with your wedding invitation too. If you know what’s coming next, it’s easy to skim over words or fill in the blanks when something is missing. So having a fresh set of eyes take another look is my number one tip. If you’re feeling anxious about potentially missing something, ask for a hard copy proof. This might cost a bit extra and take a bit of extra time, but it is much easier to spot mistakes on a print out, versus looking on your computer. It can also give you a bit more confidence that you’ve made the right choice in physical attributes of your invite, such as colour, size and card. Do you need more help with your wedding invitations? 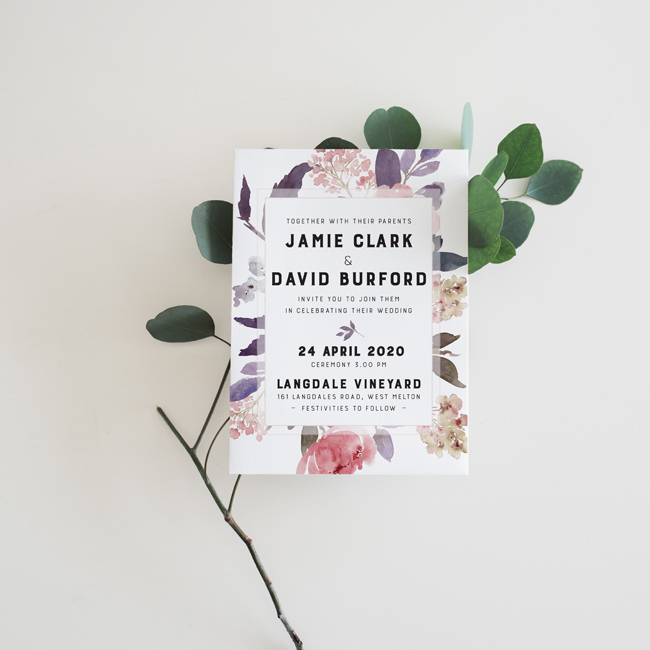 If you’d like more information on how to word your wedding invitations, read this handy post here. If you’d like more help with wording your wedding invitations, check out my ebook here. 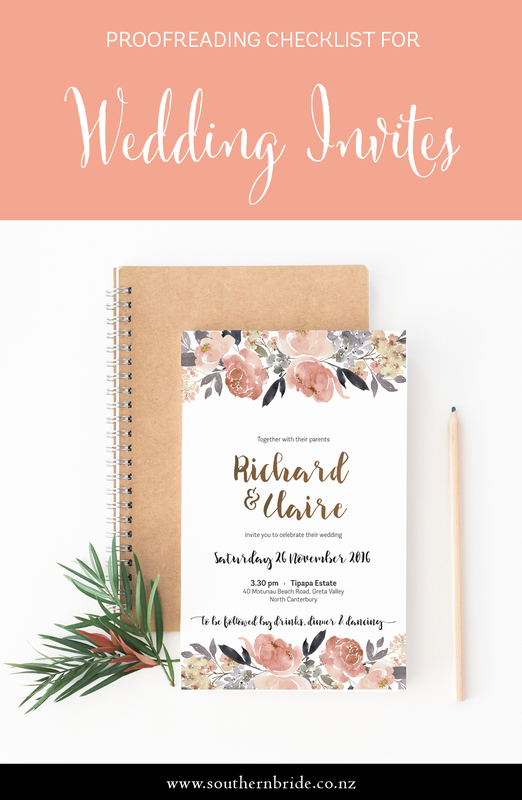 If you’re interested in more help with your wedding invitations, I’ve written a wedding invitation wording guide available here. Or I’m more than happy to help take the pressure off your wedding invite design – check out Be My Guest’s range of pre-designed wedding invitations online here.